Last season was supposed to be Blake Siebenaler’s big year. 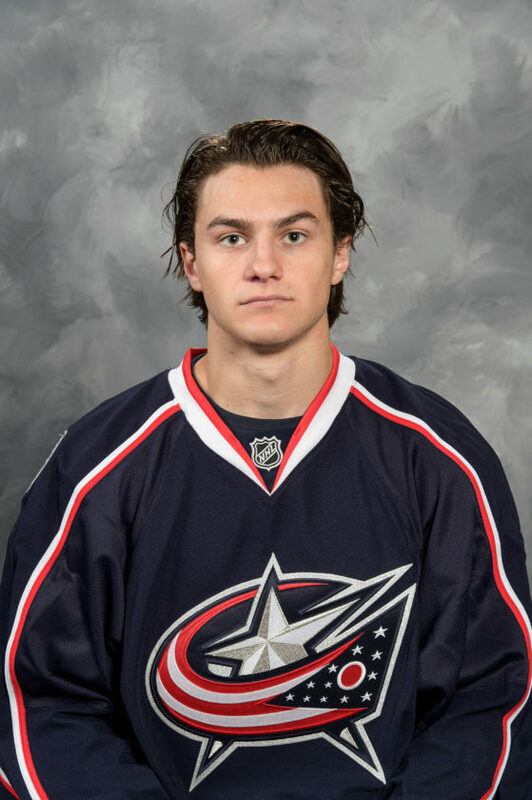 The Fort Wayne product entered the second year of his three-year contract with the Columbus Blue Jackets excited about his chances to improve and showcase what he had learned as a rookie with the American Hockey League’s Cleveland Monsters. This was his chance to prove he was a real NHL prospect. But as prepared as Siebenaler was, the season never had the chance to match his expectations. He suffered a shoulder injury in November that knocked him out of the lineup for six weeks. After extensive rehab, he came back but was knocked out again, this time for good, with a labrum injury in the same shoulder on Feb. 9. Within two weeks the defenseman had major reconstructive surgery and finished the season with three goals and six points, the same numbers he put up in 43 games as a rookie. For six weeks he couldn’t do anything but think about what happened, and try to learn to deal with it. When the Monsters went on a long road trip, he even came home to Fort Wayne for two weeks, something he can’t remember ever doing. He didn’t want to talk about it, think about it and there was nothing he was allowed to do physically for the longest six weeks of his hockey career. He didn’t have to be at the rink, but Siebenaler said he still went in to hang out with his teammates. Every injured player will say they don’t feel like a regular part of the team, and that they don’t like to be a distraction to the players who are in the lineup. They feel useless. But part of being a professional athlete is learning how to deal with injuries. Handling them is a skill as much as learning a skill on the ice, and perhaps is even harder because it’s all mental. Siebenaler now understands more about himself for going through the process. Now he’s tired of waiting and excited about a trip to Columbus next week for an informal camp. He’s going into the last year of his contract, and essentially, he has nothing to lose coming off the injury. Siebenaler is so close to making it through to the other side of his first major injury and knows he’ll be a better, smarter player because of it.